Bibhutibhushan Bandyopadhyay was one of the greatest writers in modern Bengali literature, best known for his autobiographical novel Pather Panchali, which, along with another of Bandyopadhyay’s books, formed the basis for Satyajit Ray’s classic Apu Trilogy. In this semi-autobiographical novel, Satyacharan is a young graduate in 1920s Calcutta, who, unable to find a job in the city, takes up the post of a ‘manager’ of a vast tract of forested land in neighboring Bihar. As he is increasingly enchanted and hypnotized by the exquisite beauty of nature, he is burdened with the painful task of clearing this land for cultivation. As ancient trees fall to the cultivator’s axe, indigenous tribes—to whom the forest had been home for millennia—lose their ancient way of life. The promise of ‘progress’ and ‘development’ brings in streams of landless laborers, impoverished schoolmasters and starving boys from around the region, and the narrator chronicles in visionary prose the tale of destruction and dispossession that is the universal saga of man’s struggle to bend nature to his will. 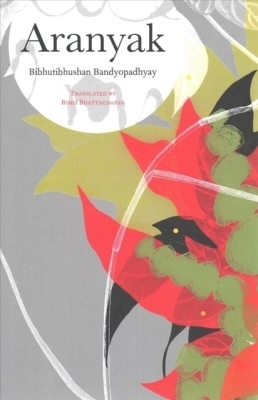 Written in 1937–39, and now available in English translation, Aranyak is an unforgettable account of hard lives in a place of vanishing beauty, preserved here for all time by a brilliant artist. Bibhutibhushan Bandyopadhyay (1894–1950) was an Indian Bengali author and one of the greatest writers in modern Bengali literature. Rimli Bhattacharya is professor of gender studies at the Centre for Studies in Social Sciences, Calcutta.